Dubai: A European couple is crying foul over a substandard unit sold to them at a Jumeirah Lakes Towers building. Wahida and her husband, Mustafa Alibhai, both Swedish citizens, said they bought at shop at Lakeview Tower for Dh1.2 million, only to realise it fell short of their expections. Literally. The height of the mezzanine floor shop is just 2.1 metres, considered "unfit" for human occupancy . Facilities management firm Concordia, which conducted the pre-turnover checks, has reported that the minimum internal clear height was not met. "We've worked so hard for the money all our lives before investing it into this property. 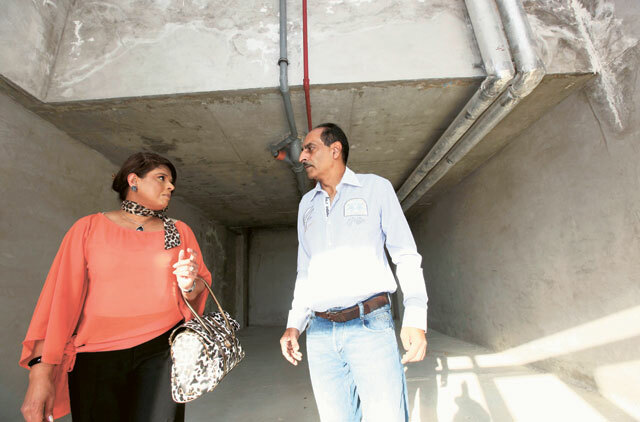 Dh1.2 million of our lifetime savings is stuck in this unit," said Wahida, 50. "We bought it in good faith off a brochure, not realising that they could take us for a ride," said Wahida. "Even the DMCC [Dubai Multi-Commodities Centre] had refused to issue a licence for this unit due to the low ceiling height. They prescribed the height should be a minimum of 2.6 metres," she said. Wahida said the developer gave them three options, none of which they liked. However, when the couple did not like any of the properties offered, they said they were told to "take it or leave it". The couple claimed the unit they booked sits below a children's pool built after the original floor plan was sold to them. Calcium erosions can be seen inside the unit due to water leakage as big insulated pool water pipes run overhead. Mustafa, 55, said: "I have paid for a particular product and am being asked to accept something that is not even close to what I have purchased." Their problems started when they moved to Dubai from Stockholm in January 2006. A month later, they gave the first of 10 cheques for the unit, as payment was based on construction milestone. "Every time we paid the instalment of between Dh175,000 and 184,000 in 10 cheques that tracked the progress in construction — we had visions of turning this unit into a coffee shop or mini mart," said Wahida. They even registered a name for the shop: Grab and Go. "The reason we chose it was it was in a prime location facing the Abu Dhabi highway. Our intention was to target the Scandinavian community here." 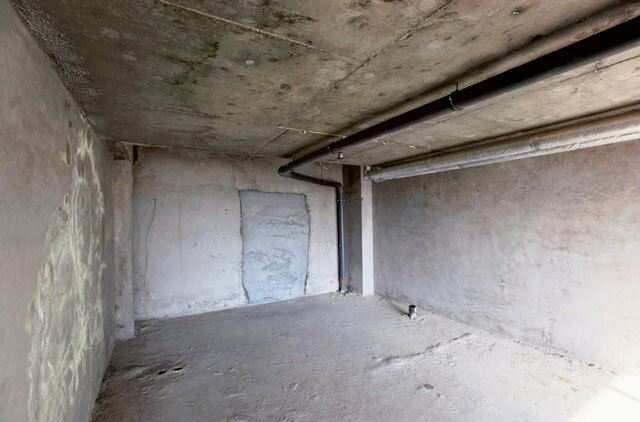 Mustafa said they are unable to sell or rent out the unit as the DMCC, which regulates property use at JLT, did not allow this due to the low ceiling. The couple, currently living in a rented unit at Discovery Gardens, said they had sold their eight-bedroom villa and boutique in Stockholm and brought the money with them to Dubai back in 2006. The couple now wish to move back to Stockholm when their problem is solved.